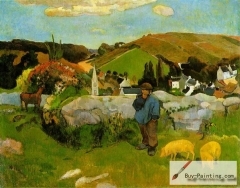 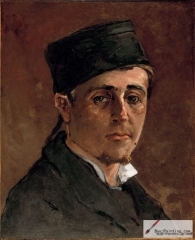 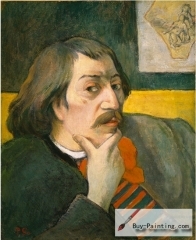 Eugène Henri Paul Gauguin (7 June 1848 – 8 May 1903) was a French post-Impressionist artist. 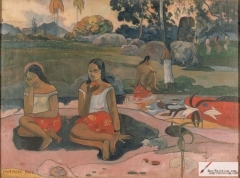 Underappreciated until after his death, Gauguin is now recognized for his experimental use of color and synthetist style that were distinctly different from Impressionism. 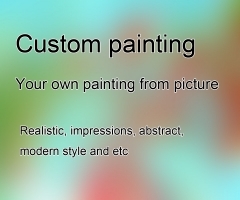 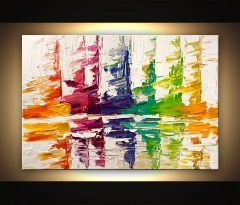 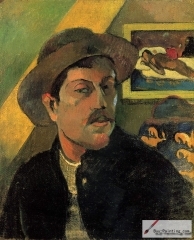 His work was influential to the French avant-garde and many modern artists, such as Pablo Picasso and Henri Matisse. 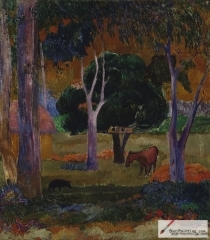 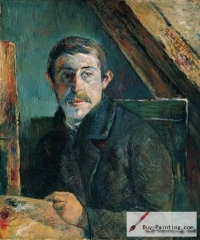 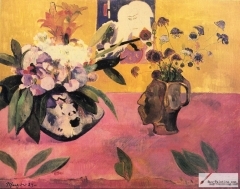 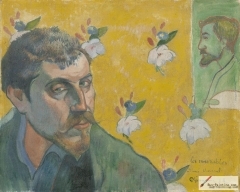 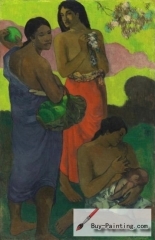 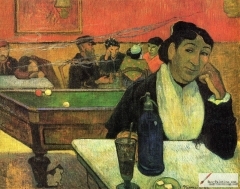 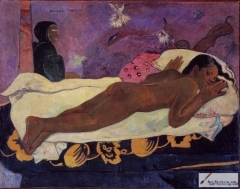 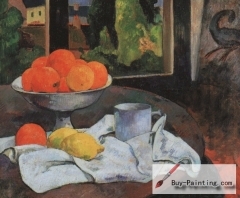 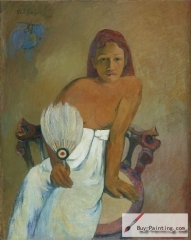 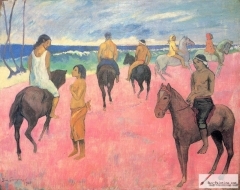 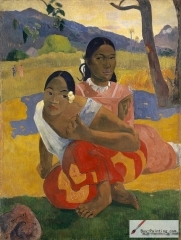 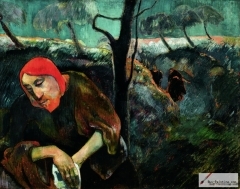 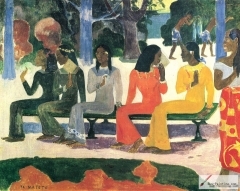 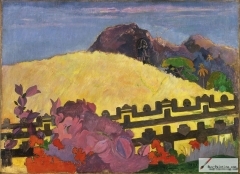 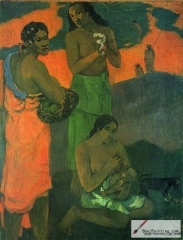 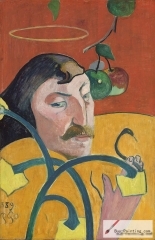 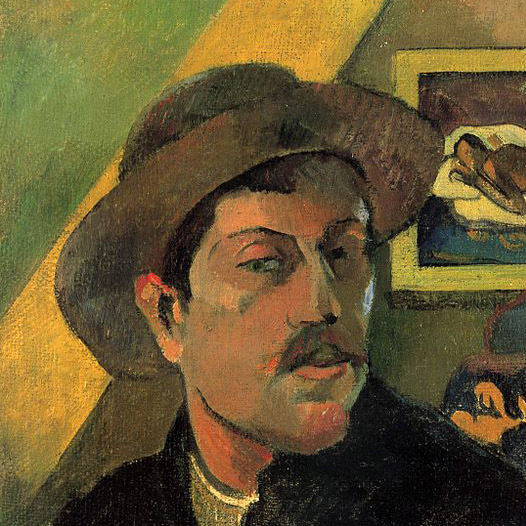 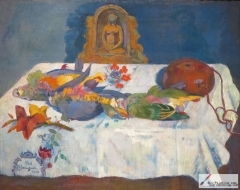 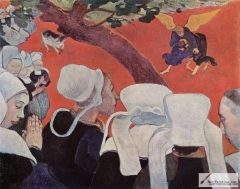 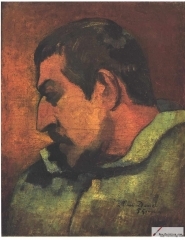 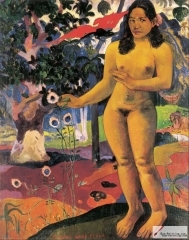 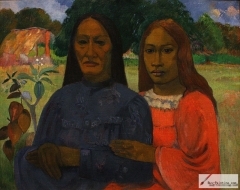 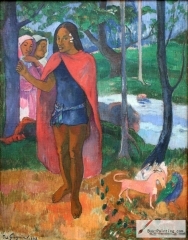 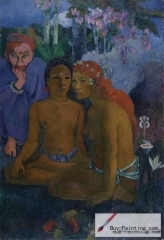 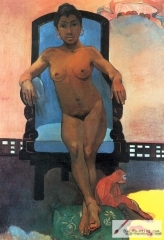 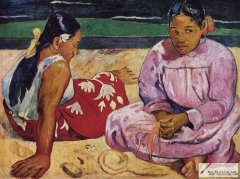 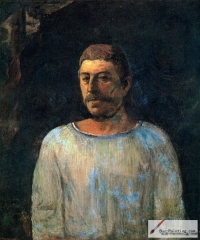 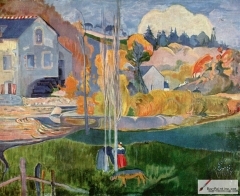 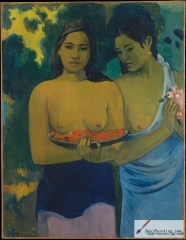 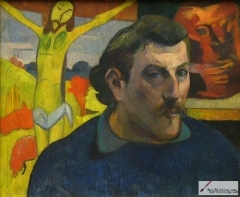 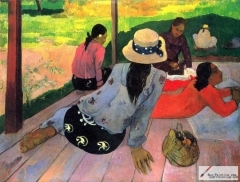 Gauguin's art became popular after his death, partially from the efforts of art dealer Ambroise Vollard, who organized exhibitions of his work late in his career, as well as assisting in organizing two important posthumous exhibitions in Paris.Many of his paintings were in the possession of Russian collector Sergei Shchukin and other important collections.